Possibly the most popular academic Indian artist after Raja Ravi Varma, Kolhapur-born Rai Bahadur M. V. Dhurandhar received his training in art from the Sir J. J. School of Art, Bombay. An early and persistent interest in drawing led his father to admit the young Dhurandhar to the art school, where he received special encouragement from principal John Griffiths. 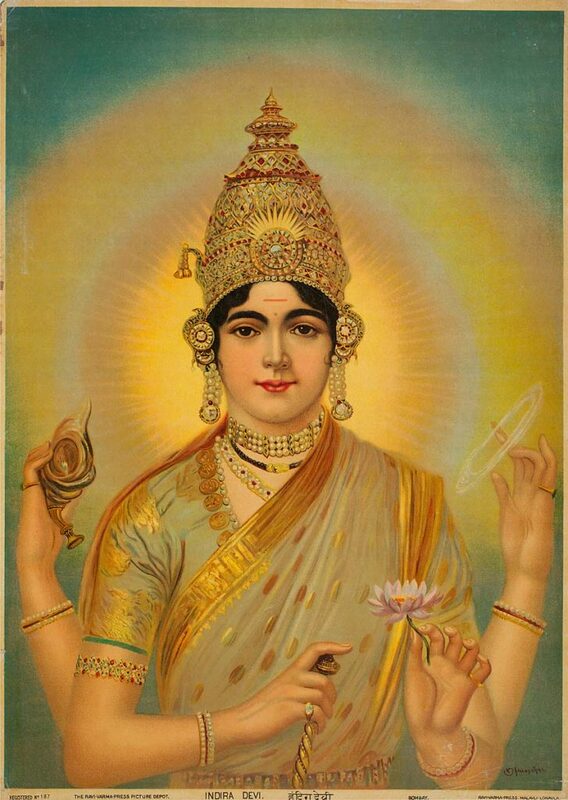 He tasted early success in the form of a gold medal from Bombay Art Society for his oil work Have You Come Laksmi? just as he completed his five-year art study in 1895. In subsequent years, he continued to be associated with his alma mater, joining as an art teacher right after his studies while he took on several commissioned works on mythological and religious themes. 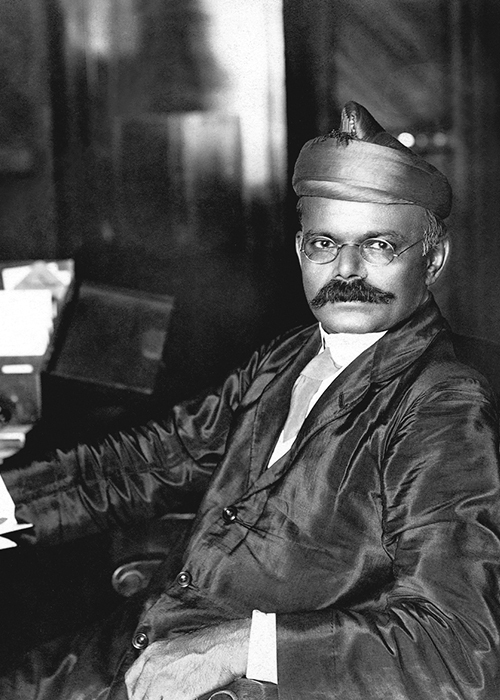 At the end of a long and illustrious teaching career, he became the school’s first Indian director in 1930. The Abanindranath Tagore-led revivalist movement had taken hold of Bengal in response to British academic dominance in the late nineteenth and early twentieth century. 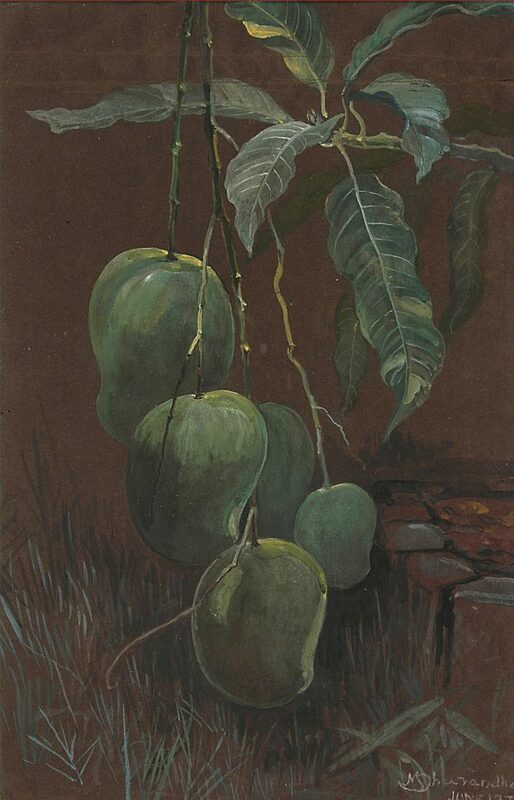 Bombay artists, on the other hand, were doing commissioned works that were academic in their rendering and techniques but with indigenous subject matter. Dhurandhar remained the foremost and most significant among them, maintaining a fine balance between academic realism and popular commercial art. His well-known works included a series on the city of Bombay and its people, scenes from Hindu mythology as well as another on the Rubaiyat of Omar Khayyam. 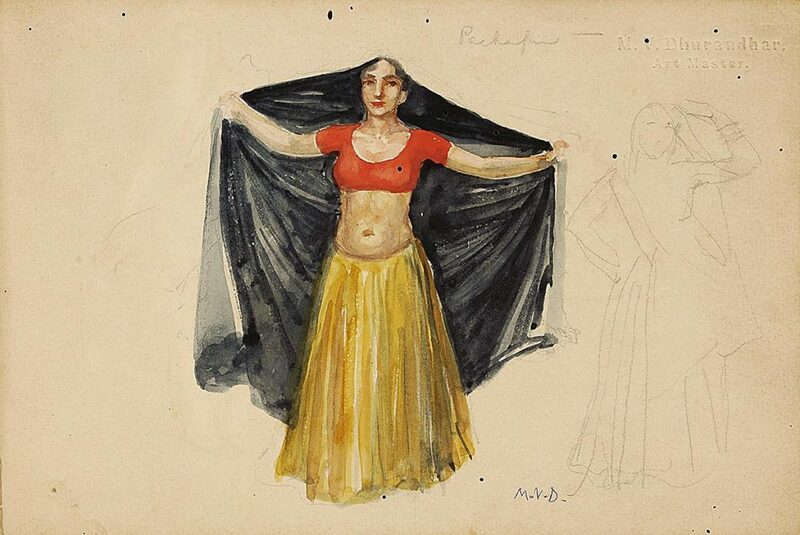 Otto Rothfeld’s book Women of India, first published in Bombay in 1920 and going on to attain a certain renown in colonial circles,was illustrated with Dhurandhar’s paintings.